Every year exotic car makers start teasing us with mysterious sightings, juicy rumors, and mind-blowing concept cars. Here are a few tasty tidbits that we’ve picked up here and there to clue you in to what you can expect in 2019. All we really need to say is 630 horsepower, but there’s also the V12 grand touring jaw dropper. 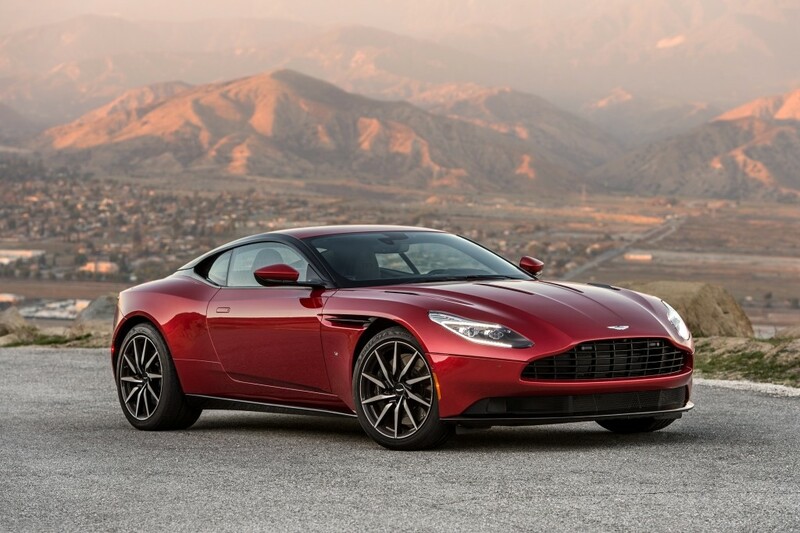 It is replacing the existing DB11 V12 but still has all the bells and whistles when it comes to high performance and a great ride. Starting price is upwards of $241,000 and it will be hitting the US market sometime this summer. Luxury interior and air suspension are exactly what you would expect from a Rolls. What you might not expect is the fact that this vehicle is four-wheel drive with rear axle steering, it has a V12 that gets 563 horsepower, and hits a top speed of 155 mph. Ready to be blindsided? The Cullinan is a Rolls Royce SUV. It’s OK, go ahead and take a moment. If you’ve been waiting for Bentley to finally give their Continental GT an overhaul, your wait is over. There will be a few little tweaks here and there for the exterior, same luxe Bentley amenities in the cabin, then you get to the 6.0 liver W12 engine that kicks out 626 horsepower. Look for this bad boy later this summer. If you had your sights set on snagging one of the 106 that were built, you are too late. They have found homes - $2.5 million price tag and all. Still, it doesn’t hurt to look. The powerful hybrid engine sits under the sleek hood with three seats. We’re short on details here, but we just had to tempt you a little. In other news: Tesla is coming out with a pick-up. Details are sketchy, so we’ll just have to wait and see. A McLaren Senna has been lurking about on the US roads. As you may know, a pre-production prototype made its rounds in England. Now it has been seen in Detroit, Nashville, and a number of cities in between. Aston Martin is ending its run of the Vantage by producing 14 special edition cars. Seven of the V12 Vantage V600 cars will be coupes and seven will be convertibles. What a sendoff! And finally, the new Lamborghini Huracan and Aventador cars will be plug in hybrids. So, put that in your pipe and smoke it. Are you thinking about picking up a 2019 exotic of your own? Let Woodside Credit help you make that dream a reality. With our easy terms and great payments, we’ll have you behind the wheel in no time. Visit our site today and complete a Quick Quote.